Nixon Honey started in 1998 in Southern Alberta with only three employees and a commitment to producing exceptional local honey. One year later, Nixon Honey moved its home-base to Red Deer County, Alberta, where we operate our farm and honey-extracting facility to this day. 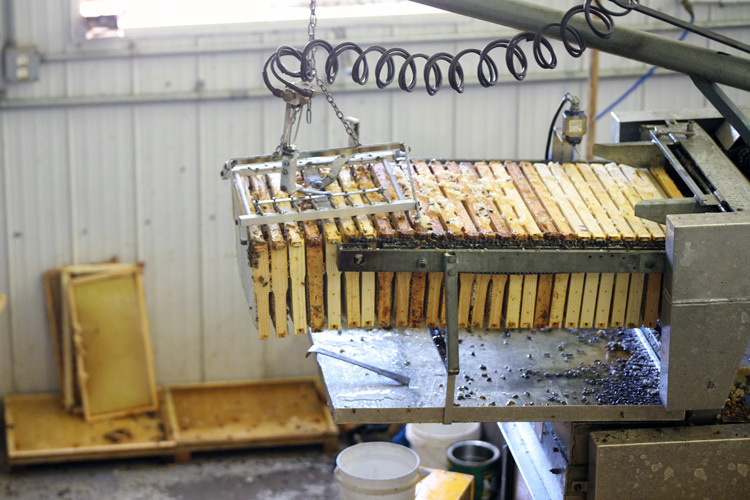 As a family owned and operated company, Nixon Honey has grown significantly over the past 20 years, with over 15 employees and one of the larger honeybee farms in Canada. We are also a supplier of honeybees to the hybrid canola seed production industry in Southern Alberta, and also offer these pollination services to local fruit and vegetable producers. In December 2017, we said goodbye to our retail products and partnerships in an effort to focus on what we do best — supplying high-quality bulk honey to commercial buyers across the globe. Now, Nixon Honey produces some of the best honey in the world, shipping our bulk product to commercial customers across North America, all the way to Asia. 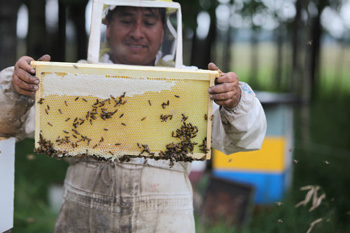 Nixon Honey conducts all operations within our own CFIA registered facility. All our honey is produced by our own bees, and we sell only bulk honey to commercial customers. All our products have their own coded containers for easy filling date and time traceability.